This afternoon House Republicans decided to follow Ted Cruz, Steve King and Michele Bachmann down the racist rabbit hole and defeated their own leaders who were trying to pass a border supplemental bill that was terrible-- but not terrible enough for the extremists. The bill deports people, but not enough people for enough Republicans to back it. And even with scumbag Blue Dogs like Henry Cuellar pledging to help Boehner pass his bill, it wasn't enough. So, the Republican do-nothing Congress, is taking the month off so they can go back to their districts and tell the same lies Luke Messer spouted on MSNBC a few hours ago. This morning one of the MSNBC pundits interviewed Messer, an extreme right wing crackpot from IN-06 (Muncie), a blood red district with a PVI of R+12. Obama scored 37% in Messer's backward district in 2012. Last year, the Democratic freshmen elected sharp-witted progressive Matt Cartwright freshman class president; the Republicans puked up Messer. Today's topic was immigration reform-- except that wasn't the discussion. The discussion was a pathetic basket of GOP electoral talking points about how the House passes wonderful bipartisan bills to solve all problems and how the Senate kills them. The moron pundit-- a fine Beltway fellow-- didn't correct him or even mention the truly bipartisan Senate bill which passed the Senate on June 26, 2013, 68-30. When GOP propaganda wind-up dolls like Messer talk about bipartisan bills the House passes against reform, he's talking about all the Republicans + a handful of racist Blue Dogs who don't even belong in the Democratic Party at all (but who fellow Blue Dog Steve Israel funnels immense sums of DCCC money to to buy them their reelections). Remember when the Democrats were trying to get the Senate bill voted on in the House? All Democratic House Members-- except 9 of the most repulsive Blue Dog racists and bigots from the Republican wing of the Democratic Party (like John Barrow, Jim Matheson and Dan Lipinski)-- signed the discharge petition that would have forced Boehner and Cantor to allow an open up or down vote on the Senate legislation. That's Messer's idea of bipartisan-- a Republican dominated by the GOP's dominant KKK/Tea Party wing + a mangey gaggle of pathetic Blue Dogs. Hoyer's office had said they expected "around" 10 Blue Dogs to cross the aisle and voted with the Republicans. After Boehner had the bill pulled, the House GOP leaders issued the statement just above. While you think about it, keep in mind that almost 70% of Americans see the children on the border as legitimate refugees rather than immigrants. A majority (69%) of Americans say that children arriving from Central America should be treated as refugees and allowed to stay in the U.S. if authorities determine it is not safe for them to return to their home countries. In contrast, 27% say that children arriving from Central America should be treated as illegal immigrants and deported back to their home countries. • Majorities of Democrats (83%) independents (66%), and Republicans (52%) believe these children should be treated as refugees, but Republicans are more divided; 42% of Republicans believe they should be treated as illegal immigrants. When asked how the U.S. should respond, 7-in-10 (70%) Americans say the U.S. should offer shelter and support to children coming from Central America while beginning a process to determine whether they should be deported or allowed to stay. However, more than 1-in-4 (26%) Americans believe these children should be deported immediately back to their home country. • Majorities of Democrats (80%), independents (69%), and Republicans (57%) favor offering support to unaccompanied children while a process to review their cases gets underway. However, nearly 4-in-10 (39%) Republicans favor deporting these children immediately back to their home countries. • Majorities of all major religious groups-- including white evangelical Protestants (56%), white mainline Protestants (67%), minority Protestants (74%), Catholics (75%), and the religiously unaffiliated (75%)-- prefer that the government offer these children shelter and support while their cases are being decided. • More than 8-in-10 (82%) young adults (age 18 to 29) say the U.S. should offer support to these children while beginning a process to review their cases. In contrast, seniors (age 65+) are divided over whether they should be deported immediately (45%) or allowed do stay while their cases are being reviewed (50%). Approximately 7-in-10 (71%) Americans agree with the general principle of offering refuge and protection to those who come to the U.S. fleeing serious danger in their home countries. The confused situation got even more confusing because the confused (drunken?) Speaker told Obama to go fix the border problem himself with executive action-- a day after the Republicans voted to sue him for… executive action. These people are insane and incapable of participating in democratic government. As the White House said today, "In the face of Congressional inaction, the Administration’s use of Deferred Action for DREAMers in 2012, which has benefitted more than 500,000 young people who are Americans in every way except on paper, is the most significant progress we have made toward immigration reform in years. By failing to act on an immigration reform bill that requires that people who are here illegally pay taxes, undergo background checks and get on the right side of the law, the House is instead driving an approach that is about rounding up and deporting 11 million people, separating families, and undermining DHS’ ability to secure the border." Normalish Republicans were aghast that Boehner was unable to beat Cruz and his nutcase allies at that game today. Appropriations Committee Chairman Hal Rogers of Kentucky begged some of the extremists in the Republican Caucus: "It can't wait, it's a humanitarian crisis. This bill is an urgently needed bill." Not to them, apparently. Devin Nunes, a Boehner ally from California's Central Valley told Fox News' Chad Pergram that " We weren't that close or we would have rolled the dice." 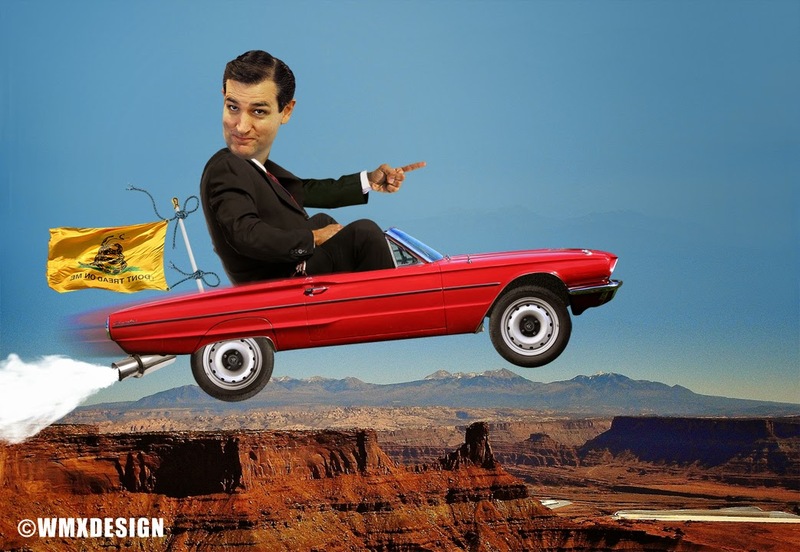 He explained Cruz's interference this way: "It wasn't helpful. We've seen this game before." So they all rushed off to the airport. Until… they got called back for an up or down vote to just make it so that Boehner wouldn't be a complete laughing stock even Inside the Beltway. Even Rick Perry-- new hipster glasses and all-- was beating up on the House Republicans! 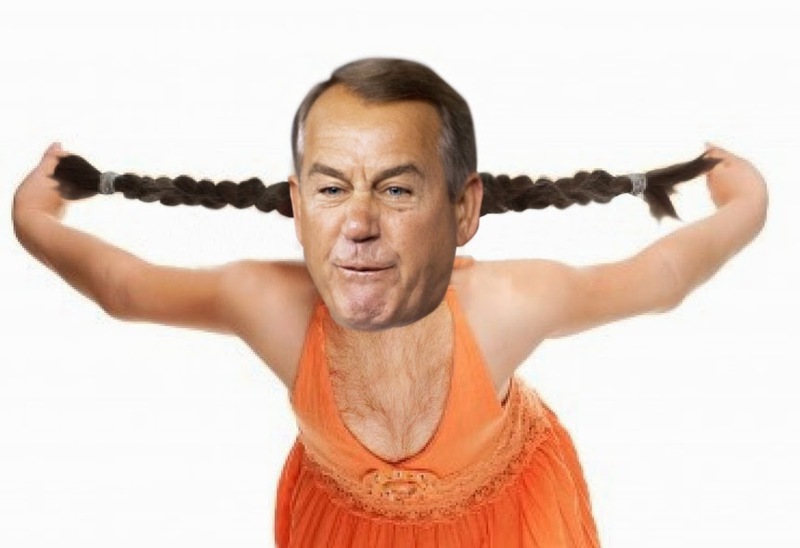 Boehner was reduced to threatening his caucus that he would keep them in session until they passed a bill. They'll meet again in the morning. 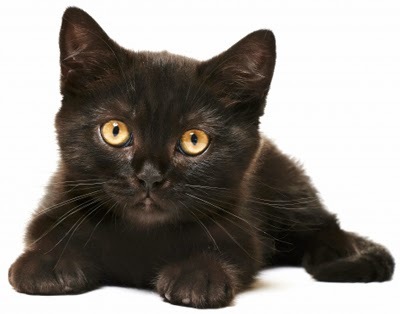 Culture Watch: Are selfie-maniacs propelling a sharp rise in homelessness among black cats? "Many pet owners apparently complained when dropping the cats off at the shelter that they didn't show up well in pictures, and prospective owners at the shelter requested to meet cats that were any color other than black." Another fine and alarming Culture Watch catch from Claire Hannum at The Frisky, who previously turned us on to those creepy cat-shaped marshmallows and the possibly creepier still toasters that produce toast-selfies. 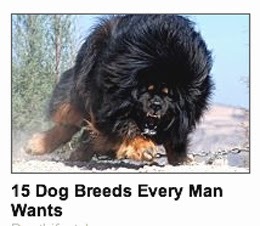 Now it's an apparent trend in the U.K. concerning what constitutes an adoptable pet. It appears that black cats are increasingly going homeless -- not, as you might imagine, because of their long-bruited role as bringers of bad luck, but because they don't photograph well. That's right, the little darlings are deemed insufficiently photogenic to suit their potential owners' photographic fancy. At today's cat boutiques, it appears that the leading question is, "Do you have something in an orange or maybe white?" We have had a lot of black cats in this year -- people don’t like black at the moment. Others look at the black cats and then just say "Oh, have you got anything else?" Ginger male cats are the most popular, but I think the black cats are beautiful and photograph fine. 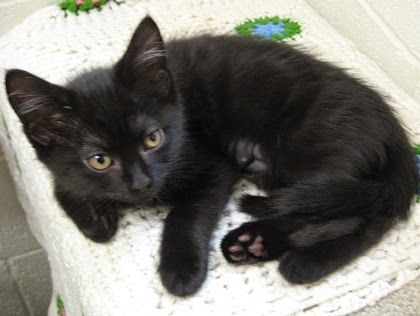 Hayley Plows of the northeast London RSPCA branch noted that on the same day they had posted photos of a single eight-week-old tabby kitten and of a bunch of black kittens. They got "around 30 calls in two days from people keen to adopt" the tabby, and "maybe one call in relation to the black kittens." it's sad that people feel the need to overlook them just because they are black. They are just as special as any other cat. Which I think brings us back to Claire Hannum's report, where it's possible to admire the final exhortation -- "Come on, animal lovers, we're better than this!" -- without necessarily agreeing. Isn't the evidence suggesting that maybe so-called animal lovers really aren't better than this? And this in turn brings us back to a basic conundrum of pet ownership: namely, pet owners. When you have one rejecting an animal because he or she doesn't photograph well, don't you have someone who really shouldn't be owning a pet to begin with? This week, EMILY's List dropped a last minute $17,441 into an independent expenditure for the extremely conservative candidate they're supporting in Honolulu, Donna Mercado Kim. Many elderly ladies who remember when EMILY's List was founded by Ellen Malcolm 30 years ago don't realize EMILY's List has swung from being a basically progressive organization to being one of the most conservative and untrustworthy elements in the Democratic coalition. "We don't care about anything except electing pro-choice women to office," they use as their excuse for backing absolutely horrible conservatives most of the time-- even when their conservative candidate, like Kim, isn't even really pro-Choice. It's identity politics at its ugliest. EMILY's List is backing Kim because Kim is a woman. Other candidates in the race are much more pro-choice than Kim but… well, that's EMILY's List 2014. Maybe EMILY's List should have consulted with the Patsy T. Mink PAC, which is Hawaii's progressive version of EMILY's List. They have never once endorsed the conservative Donna Kim in her 30 years of politics. There's a reason for that. Last week we looked at how progressive Congressman Mark Takano threw his progressive cred to the winds, lied to the Congressional Progressive Caucus that another conservative, Mark Takai is somehow not a conservative despite a record that proves he is, and tricked them into backing someone based on an ethnic kinship-- Takai and Takano both being Japanese-American. More ugly identity politics. Today I got a letter from a former Blue America-endorsed Michigan congressional candidate, Syed Taj, from the 11th district. He's a Muslim and last cycle when he could have beaten insane teabagger Kerry Bentovolio, except that anti-Muslim sleaze bag Steve Israel refused to allow the DCCC to help him. So he lost. This year, Israel is trying to insert some ex-CIA agent, Bobby MacKenzie, as the Democratic nominee. Dr. Taj's letter this morning urged me to support another MD, Anil Kumar. I spoke with Kumar a few months ago. He seemed like a nice enough man but, unlike Taj, there was absolutely nothing about him that qualified him for public office, especially not as a Democrat. He and Taj, though, have some identity politics between them. But the one that really took the cake for identity politics this week wasn't religious, or gender-oriented or ethnic. It was mayoral-- the very conservative, fake-Democratic mayor of San Jose, Chuck Reed, endorsing the Republican mayor of Fresno, Ashley Swearengin, for state Comptroller against a superbly qualified Democrat, Betty Yee. "Ashley Swearengin and I have worked together as part of the Big Ten Mayors, a bipartisan group organized to focus on statewide issues impacting our residents and taxpayers," said Reed. Swearengin’s "focus is not on partisan politics, but rather on getting the job done right. I’m proud to support her." Reed’s decision to give the cold shoulder to Betty Yee, the state Board of Equalization member who is the Democrats’ choice in the Nov. 4 race, shouldn’t come as much of a surprise. Reed, who has always been well out on the conservative edge of the Democratic Party, is termed out of office this year and has even less reason now to go blue. Even before Reed was elected in a landslide back in 2006, local Democrats grumbled that the Air Force veteran and land-use attorney was way too conservative for the South Bay. But with San Jose on the brink of financial disaster, voters liked his tough stand on public spending and re-elected him with 77 percent of the vote in 2010. But when Reed persuaded San Jose voters in 2012 to pass Measure B, which called for city workers to pay more into their pension fund and required a citywide vote before retirement benefits could be increased, labor unions howled and filed lawsuits that are still making their way through the courts. And when Reed pushed for a statewide initiative allowing cities and other government agencies to cut future pensions in a fiscal emergency, Democratic leaders joined their labor allies in loud opposition. Reed ended up suing Democratic state Attorney General Kamala Harris for what he claimed was a biased title and summary of the initiative written by her office. After losing the court battle, he dropped efforts to put the measure on the 2014 ballot. Reed said the pension reform was desperately needed because “skyrocketing retirement costs are crowding out funding for essential public services and pushing cities, counties and other government agencies closer to insolvency.” There’s little love lost between the San Jose mayor and the Democratic Party leaders who joined with labor to help quash the measure. That partisan attack left a mark, as Reed made clear in his pointed endorsement of Swearengin. The Fresno Republican has “demonstrated the leadership and determination that we need to reform government and improve efficiency, without regard for party labels,” Reed said in his statement. At least this seems to be based on politics and issues-- albeit from a decidedly right-wing, anti-family prospect that Reed and Swearengin share. I respect that, as much as I disagree with it, much more than picking people based on factors that having nothing to do with policy, the way Takano, Taj and EMILY's List did. Obviously, I still hope Swearengin loses and have every intention of voting for Betty Yee, a far better choice. Elizabeth Warren: "The Time For Free-Loading Is Over"
Just a week ago we warned about how conservatives were eager to prevent progressives to end a tax loophole that allows corporations to do "inversions" that allow them to pay no taxes. Yesterday, the Senate failed to break a Republican filibuster lead by Wisconsin corporate whore Ron Johnson. Breaking the filibuster requires 60 votes and the Democrats only mustered 54, so it failed 54-42, all but one Republican joining the filibuster this time. Elizabeth Warren was up on the floor of the Senate (as you can see in the video above), denouncing the corporations that are taking advantage of this country. "These companies," she told her fellow senators, "are renouncing their American citizenship, turning their backs on this country, simply to boost their profits. They are taking advantage of all the good things that our government helps provide-- educated workers, roads and bridges, a dependable court system, patent and copyright protections-- and then running out on the bill. If a person did that, we'd call them a freeloader. For a person who doesn't want to pay a fair share, our message is clear: you can renounce your citizenship, but don't come back and expect the rest of us to pick up your tab. But we don't do that for corporations. Corporations can renounce their American citizenship-- and make absolutely clear in legal documents that they're doing so to avoid their US tax obligations-- and not suffer any consequences. In this corner of the tax code, we've gone way past treating corporations like people. In this corner of the tax code, we treat corporations better than people." Robert Cyran tried explaining to NY Times what exactly had happened a few minutes after the vote. Inversions are starting to spin out of control. A quest for tax savings has made digestible overseas targets attractive to United States buyers. Hospira’s potential $5 billion deal for a Danone unit highlights a fresh supply, for “spinversions.” The odd combination also reflects the perverse incentives distorting corporate decisions. 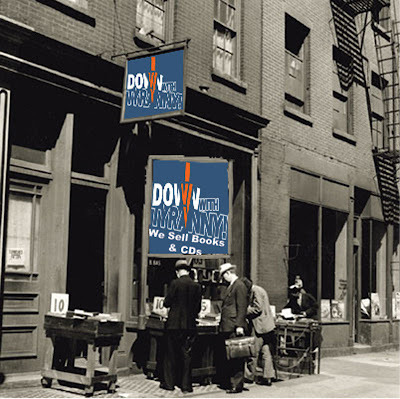 Health care companies lead the way trying to move domiciles. In just the past six months, there were $319 billion of announced deals in the sector, a figure that already exceeds the record volume in 2007. Companies with Irish headquarters like Covidien, Elan and Warner Chilcott have already been devoured. Pfizer tried unsuccessfully to do the same with AstraZeneca for nearly $120 billion. Certain post codes now carry premium valuations. There’s a clever new twist on the situation, though. Big companies can spin off a suitably sized division in a favorable jurisdiction, and if an American company acquires it using shares, the acquirer can advantageously change its address. When Pennsylvania-based Mylan acquired a division of Abbott Laboratories, for example, it suddenly became Dutch for tax purposes. Buying Danone’s medical nutrition business would accomplish something similar for $9 billion Hospira. Other European companies are also getting the idea they might fetch top dollar for unwanted divisions. Consumer goods giant Reckitt Benckiser said this week that it plans to separate its pharmaceutical division. GlaxoSmithKline is also studying disposals. Even United States conglomerates could do the same by spinning off unwanted divisions to investors and then having them merge with overseas businesses. The trouble is that tax motives are increasingly trumping strategic logic. Hospira itself was spun off from Abbott a decade ago, leaving Abbott with a sizable and profitable medical nutrition business. While there might be competition concerns, Abbott is nevertheless a far more natural home for Danone’s competing operation than is Hospira, which specializes in drugs that are injected. To justify these otherwise implausible sorts of deals will require a whole different kind of spin. As some of the largest, most profitable American companies have "moved" their tax residence to off-shore tax havens to avoid paying their fair share under U.S. tax law, the Congress has failed again to address this corporate tax abuse and close the loopholes. Don’t expect too much of an outcry from Republicans; they’re too busy accepting millions in PAC contributions from the very companies engaged in this tax dodge. For example, Ohio-based Eaton Corporation moved its tax residence to Ireland, but my opponent, Congressman David Joyce, has failed to speak out on behalf of American taxpayers. Why? Well, perhaps it’s because he’s the single largest recipient of PAC contributions from Eaton’s PAC as well as generous contributions from its CEO. It’s time to amend our rigged and deformed tax code and put an end to tax avoidance by the corporations. Today’s filibuster by Senate Republicans is disgraceful. Open Secrets shows that Eaton CEO Alexander Cutler has spent 6 pages worth of his own cash on making sure Republicans don't close any corporate loopholes that will disadvantage Eaton after his decision to leave Ohio and move to Ireland. He's given thousands and thousands of dollars to Joyce but also to Republican candidates and committees all over America, including ole filibustering' Rob Portman. And the Eaton corporate PAC gives large sums to candidates and incumbents as well. So far the biggest recipient of their largesse this cycle has been… David Joyce ($4,600). Yesterday we looked at how Steve Israel's "bipartisan" conservative group, the Center Aisle Caucus, so dear to the heart of Establishment imbeciles like David Broder, destroyed any chance the Democrats had to retake the House (in 2012 and again this year). So brilliant of Pelosi to appoint a bipartisan with his chains to so many vulnerable Republicans to head the post that should be the most partisan in the Democratic conference! Previously, we talked about Big Business shills Patrick Murphy and Kyrsten Sinema working with teabaggers to undermine Democratic values in Congress in their United Solutions caucus. That helps why Israel calls Murphy's race the top race in the country (even though Murphy has no plausible GOP opponent) and why Debbie Wasserman Schultz is already pushing Murphy for statewide office. Poor Florida, barely even has a Democratic Party any longer thanks to Wasserman Schultz. They're running a Republican for governor and Murphy is also a Republican who conveniently calls himself a Democrat. A few days ago, while we were laughing at Schumer's Wall Street whine about partisanship, Meredith Shiner was covering another one of these slimy, self-serving "non-partisan" Beltway groups, No Labels. She also exposed the secret donor list of shady multimillionaires who finance the operation, a list (above) that has never been seen before. It sounds so high-minded; they all do. But none of them ever work out that way. And No Labels sure hasn't. If anything, No Labels is even more corrupt and more disgusting than its predecessors. 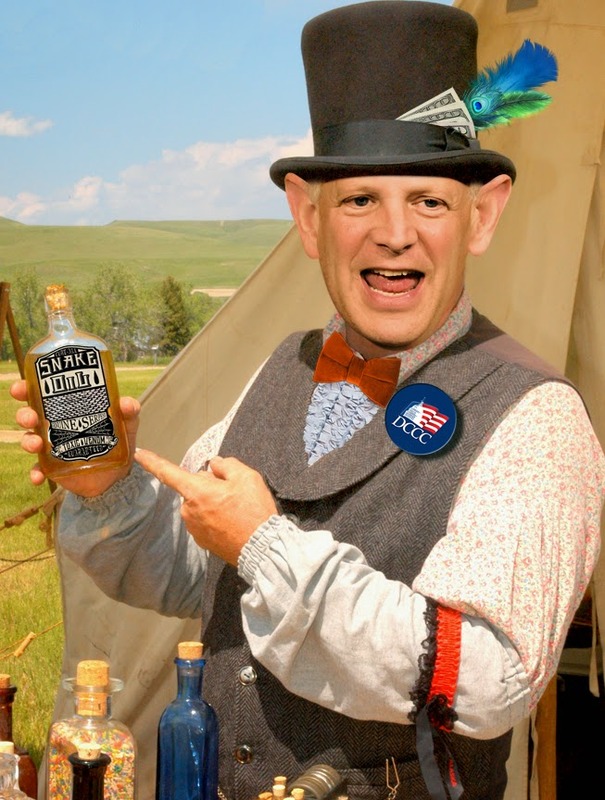 It's no coincidence that No Labels uses the empty term "problem solvers" to describe its members-- just like Steve Israel tells the idiots he recruits for the DCCC Red to Blue program. In 2010, a group of political veterans who said they were tired of the extreme partisanship paralyzing Washington created an organization to advance their new cause. The founding mission of No Labels was "to move America from the old politics of point scoring toward a new politics of problem-solving." Through a combination of congressional engagement in Washington and grass roots organizing around the country, No Labels’ lofty aspiration was to promote bipartisanship by providing political cover for lawmakers to work across the aisle and creating incentives to slowly erode the culture of polarization and intransigence in Congress. But four years later, it appears the group designed to combat the insidious habits of the Washington establishment has been engulfed by it. Like many other outside political groups, No Labels spends a disproportionate part of its budget maintaining and promoting its own organization, trying to keep its profile high while ensuring a steady flow of fundraising dollars, whose donors they keep secret, in a cluttered nonprofit environment. As part of its efforts to gain legitimacy and grow its membership, No Labels has also occasionally waded into congressional contests in ways that have raised suspicions among Democrats about the group’s own commitment to bipartisanship. The confidential document, distributed at No Labels’ May executive board meeting, outlines a “break through strategy” for the group, which despite raising millions and a buzzy-for-cable-news-talk launch, has struggled to find a foothold on the campaign trail or in the halls of Congress. The first point in that strategy is a “balance of power shift in the U.S. Senate,” an awkward position to outline, if not advocate, given No Labels’ aim of bipartisanship and that one of the group’s co-chairs, Democratic Senator Joe Manchin of West Virginia, currently sits in the majority caucus. “Should the balance of power in the U.S. Senate flip following the 2014 midterm elections and Republicans gain control, No Labels sees an opportunity to bridge the gap between Congress and the White House,” the document reads in its “Break Through Strategy” section. “With Republicans holding control of both chambers in Congress and a Democrat in the White House, the likelihood of gridlock will be higher than ever before. “We have already begun back door conversations with Senate leaders to discuss this increasingly likely scenario,” the document continues. This privately stated position exacerbates an already publicly spoiled relationship with Senate Democrats, who are still fuming from an April incident in which the group supported conservative Republican Cory Gardner in Colorado over Manchin’s colleague, incumbent Democrat Mark Udall. The endorsement, which No Labels later tried to clarify by saying that any candidate could be backed by the group if they just agreed to be a member, was touted by Gardner in press releases and caused the few Senate Democrats involved with the group to threaten to pull their membership, according to Democratic sources. But to openly discuss its role in a future, hypothetical Republican-led Congress is especially unusual, given that of the 10 senators who belong to No Labels, three-- Mark Begich of Alaska, Mark Pryor of Arkansas and Mark Warner of Virginia-- are embroiled in difficult re-election races and might have to lose in order for the GOP to take back the Senate. Asked about “back door conversations” with Senate leadership cited in the memo by the group, aides to the five Senate GOP leaders told Yahoo News that their bosses have not discussed a Republican majority with No Labels, though No. 2 Republican John Cornyn of Texas did attend a May campaign event with the group in New York City and No. 3 Republican John Thune talked taxes and Obamacare in a meeting last month. Though a flip of the Senate majority is a key expectation in the group’s strategy, officials at No Labels told Yahoo News they are more focused on the 2016 presidential race than the 2014 midterm elections. The group’s memorandum briefly addressed its “role” in the midterms in a bullet point that indicated No Labels provided $300,000 “in financial support through direct candidate contributions” at a May forum. The group failed to carve out much of a niche for itself in the 2012 presidential contest. Its backing of a 12-point “Make Congress Work!” action plan and promotion of a bill that would “withhold congressional pay if members of Congress fail to pass spending bills and the budget on time” went nowhere. Since then, its focus on fostering bipartisanship in Congress has not gone far, except to the extent that there is now bipartisan stagnation and gridlock so severe some members report becoming depressed and hating their jobs. Members of Congress seem all too eager to accept the mantle of civic responsibility offered by No Labels, only to return to partisan warfare. In July 2013, No Labels held a rally where lawmakers of both parties crowded a park outside the Capitol, stood on a grandstand and one by one declared themselves “problem solvers.” The government shut down a few months later as Republicans, including some who appeared on that stage, refused to allow a budget to pass unless it defunded the president’s health care law. Even in its own May document, No Labels claimed only one legislative victory: a bill that passed out of the House Energy and Commerce Committee by voice vote, but which never came up for a vote in the House or became law. It turns out that for a group that consistently bills itself as above the partisan politics and the corrosive culture of Washington, No Labels has come to exemplify some of the most loathed qualities of the town’s many interest groups. Much of the group’s budget goes toward sustaining or promoting itself. According to No Labels’ confidential document, the group employed 22 paid staffers and eight consultants as of May. Of its projected $4.5 million budget for 2014, only 4 percent-- or $180,000-- of spending was slotted for “Congressional Relations.” By contrast, administrative and operational expenses got $1.035 million over the same time period. Another 5 percent was set for travel. A further 30 percent ($1.35 million) was earmarked for digital growth and press, and 14 percent for fundraising. It’s unclear how the group’s budget broke down in previous years, as No Labels is not obligated to fully disclose its finances or donors because of its 501(c)(4) tax-exempt status. But many of the organization’s biggest detractors question why a group advocating for a better Washington would embrace the same practices as the groups profiting from dividing it. Outside groups have become a cottage industry inside the Beltway, where they pay lush salaries to staffers and consultants while talking loudly and doing little to achieve their missions in this age of legislative stasis. …No Labels’ judgment, however, of which politicians are best suited to reduce congressional gridlock is perhaps what makes the group the most vulnerable to attack from its detractors. And it has diminished its credibility with those it needs the most: the people who actually influence and make decisions on policy. Multiple Senate Democratic aides characterized the relationship between No Labels and Senate Democratic leaders as “hostile,” and said that the current distance stems from the controversy surrounding Gardner and the Colorado Senate race. In April, No Labels gave its “Problem Solver Seal” to Gardner, the GOP challenger to the Senate Democratic incumbent Udall. Gardner touted the seal as an endorsement from No Labels, a situation that incensed members of the Senate Democratic caucus. Gardner and No Labels then were forced to clarify the meaning of the seal after Democratic members threatened to leave the group and multiple No Labels board calls were held to discuss the matter. While a group spokesperson told a local Denver Fox affiliate that the seal is an “implied endorsement," No Labels co-founder Mark McKinnon, a former George W. Bush and John McCain strategist, said that anyone-- even Udall-- would be eligible for such a seal were they join the group. The Problem Solver Seal granted by No Labels to lawmakers requires nothing of those members from a policy perspective, aside from agreeing to be part of No Labels, and to attend meetings with other No Labels members to discuss broad principles of bipartisanship. To be a member of No Labels, a politician needs to pledge to not take any pledge but the oath of office and the Pledge of Allegiance. Gardner was among the top 10 most conservative members of the House in 2012 and the 98th in 2013, according to rankings by the National Journal. But the group has also given the seal to Reps. Peter Welch and Jared Huffman, who were among the top 20 most liberal members of the House in 2013, according to National Journal. It’s not that No Labels has shifted rightward ideologically and deliberately, it’s that its initial design to provide cover to politicians on both sides to work in a bipartisan way also gives cover to politicians who won’t but want to have lapel pins on their jackets saying they do. No Labels’ critics question the seriousness of a group that includes a number of Republicans whose conservative bent and heated rhetoric have more of an outsize influence on their party than does the liberal wing of the Democratic Party. The No Labels website talks about “unprecedented, even dangerous” tactics from the right in trying to defeat health care, but the group also includes some of the most outspoken members on this issue. Democratic critics ask what it says about the group that its “problem solvers” could vote to shut down the government or against raising the debt ceiling but maintain their “problem solver” status by attending No Labels meetings. Reps. Scott Perry of Pennsylvania, Diane Black of Tennessee and Jack Kingston of Georgia are No Labels “Problem Solvers,” and ranked among the top 17 most conservative members of the House in 2013. Just this month, it was revealed Kingston spoke to a conservative radio show about Congress looking “very seriously” into impeaching President Barack Obama. As for the big donors, John Arnold gives mostly to conservative Democrats from the Republican wing of the Party like John Barrow, but also donated to John McCain, Tom Coburn and Ted Cruz. Josh Bekenstein, a Bain guy, has been giving to conservative Democrats like Blanche Lincoln (+ Mitt Romney, of course). Mark McLarty likes Hillary Clinton and Chuck Grassley. One of the half million dollar donors, John Muse of Texas gives pretty much only to right wing Republicans with a scatterings of conservative Democrats. 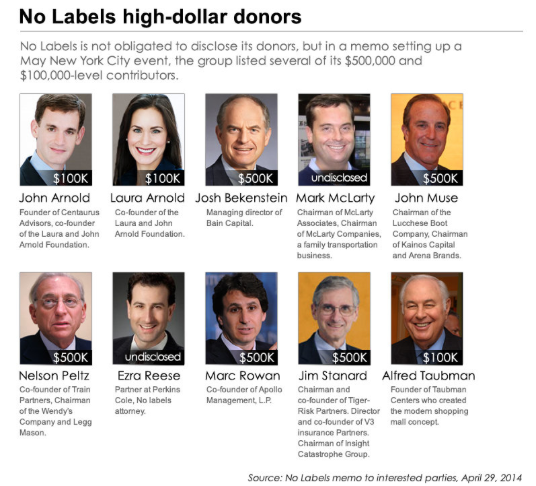 Another half million dollar No Labels donor, Wendy's Chairman Nelson Peltz, is a huge political donor, but primarily to conservatives, regardless of party, like Rahm Emanuel (D), Joe Lieberman (I), Max Baucus (D), Herman Cain ®, Pete Wilson ®, Bob Corker (TN), Charlie Crist (? ), Al D'Amato ®, Pat Toomey ®, John Boehner ®, etc. Similarly Marc Rowan of Apollo Management gives a lot of money to a lot of candidates, mostly Republicans and conservative Democrats (think Tom DeLay and Harold Ford, "Mikey Suits" Grimm and Ben Nelson… the real garbage of American politics. So $500,000 from him to No Labels makes total sense. It's worth listening to this from the Member of Congress who has passed more legislation-- which means working across the aisle-- than anyone else in the House. He understands what bipartisan means… and it isn't the same thing as selling working families down the river-- not ever. With right-wing congressman Bill Cassidy running for Mary Landrieu's Senate seat, his Baton Rouge-based House district looks very attractive to an awful lot of candidates. It's a grotesquely gerrymandered (i.e., ethnically-cleansed) deep red district with a PVI of R+21. Obama won 31% there against McCain and 32% against Romney. In 2012 the Democrats didn't even bother putting up a candidate against Cassidy. There are 18 Republicans in the open primary but an inordinate amount of coverage has been about the campaign of former Louisiana Governor Edwin Edwards. David Wasserman from Cook is not known for hyperbole, let alone for hysteria. He analyzes House races for the Cook Report but his report on Whitney in this morning's Washington Post was pretty hilarious. This isn't what anyone would expect to hear from Wasserman: "As a House analyst for the nonpartisan Cook Political Report, I’ve personally interviewed over 300 congressional candidates over the course of seven years, both to get to know them and evaluate their chances of winning. I’ve been impressed by just as many Republicans as Democrats, and underwhelmed by equal numbers, too. Most are accustomed to tough questions. But never have I met any candidate quite as frightening or fact-averse as Louisiana state Rep. Lenar Whitney, 55, who visited my office last Wednesday. It’s tough to decide which party’s worst nightmare she would be." But that was how Lenar Whitney was introduced to a national audience. Whitney has only raised $123,000 to date (fourth in the GOP field), but she has sought to boost her profile and appeal to conservative donors with a slickly made YouTube video entitled “GLOBAL WARMING IS A HOAX” (84,000 views so far). In the video, Whitney gleefully and confidently asserts that the theory of global warming is the “greatest deception in the history of mankind” and that “any10-year-old” can disprove it with a simple household thermometer. Whitney’s brand of rhetoric obviously resonates with some very conservative Louisiana voters who view President Obama and the Environmental Protection Agency as big-city elitists directly attacking the state’s energy industry and their own way of life. And she would hardly be the first “climate denier” elected to Congress. But it’s not unreasonable to expect candidates to explain how they arrived at their positions, and when I pressed Whitney repeatedly for the source of her claim that the earth is getting colder, she froze and was unable to cite a single scientist, journal or news source to back up her beliefs. It was the first time in hundreds of Cook Political Report meetings that a candidate has fled the room. Know Nothing imbeciles are in no short supply on the fringes of instinctual, brainwashed right-wing populism. If deranged KKK-oriented gun-totin' pastors Jody Hice and Mark Walker can win primaries in Georgia and North Carolina against Establishment faves, anything goes, right? And a job in Congress is made to look so easy by folks like Bachmann, Louie Gohmert, Virginia Foxx, Steve King… Anybody could do it! And look how far Palin has gotten! Lenar Whitney may come off like a witless, brainwashed zombie who spent too much time listening to Fox and Hate Talk Radio, but another GOP queen of clowns in the making, Laura Ingraham, isn't just a victim of Hate Talk Radio's massive epidemic of ignorance; it's her stock in trade. And every since she started taking credit for defeating Eric Cantor, there has been speculation on the fringes that she would eventually run for something. Last week, London's Sunday Times DC bureau chief, Toby Harnden, filed a story explaining Ingraham to British readers by comparing her to their own neo-fascist party, UKIP, a comparison Ingraham understood… and embraced. [S]he is fast becoming the most powerful conser­vative voice denouncing any compromise on immigration and call­ing for the deportation of the Latin American children who are amassing on the southern border of the United States. At a raucous campaign event in Nashville last week, Ingraham accused President Barack Obama of "fomenting a crisis at our border that seeks to undermine the very fabric of American rule of law, our sovereignty, our national identity." Her most withering contempt was aimed at her own party’s estab­lish­ment-- the "good old boys" and "go along to get along Republican politicians doing backroom backslapping" with Democrats, being as eff­ective as "beige wallpaper." Ingraham has already claimed the scalp of Representative Eric Cantor, the third most powerful Republican in the House of Representatives, by headlining a massive rally that helped to propel his obscure opponent to a shock victory in a party primary last month. …Ingraham, 50, has been branded a xenophobe because of the stand she has taken. The satirical comedian Stephen Colbert recently described her approach as "a tough love-- or a very soft hate." She said accusations of racism were a sign of panic among her opponents. "I stand a lot more for the suffering of the American people of every colour or background than they can ever claim to," she told the Sunday Times. "Plus, the last time I checked, I had three children living in my home from pretty difficult backgrounds, one adopted from Guatemala and two from Russia. I don’t wear that on my sleeve but, OK, I don’t like Latino people? It’s ridi­culous. I cared enough about the region to rescue someone who was abandoned there." Carr, who is lagging in the polls and is vastly outspent by Alexander, said Ingraham’s support could be crucial. "For us to get her endorsement is huge. It’s real important when you get somebody with a microphone that big. For crying out loud, her show’s on more than 300 stations," he said. Matt Studd, 57, a car haulage driver and Tea Party activist who was wearing a shirt emblazoned with the Ameri­can flag and images of Iwo Jima and the US constitution, said that the intervention of Ingraham, a Catholic convert, had energised conservative voters: "She’s awesome. She stands for the traditional Christian core values that we know she holds dear." Republican leaders support centrist incumbents such as Alexander because they believe it is the easiest way to regain control of the Senate in November’s mid-term elections. Candidates such as Carr, they fear, would alienate moderate voters. Ingraham said this outlook was akin to living in the past, explaining that she sensed a profound shift in American politics with a new element-- similar to Ukip in Britain-- emerging on the right. "There are Tea Party elements but it has kind of an independent, anti-corporatist streak, a populist strain running through it. There’s a younger sensibility too," she said. Republican grandees were fool­ish to believe that allowing illegal immi­grants to stay was a way to attract new voters, she added: "You make real headway in the Latino, black and immigrant communities not by selling a policy that would lower their wages and burden their communities, but by econo­mic rejuvenation. You have to be unafraid to say these things. UKIP's done that pretty well in Britain." Ingraham hinted that her forays into Republican primary races this year could be the foundation for a political career of her own. "I've been approached by various people to get involved," she said. "I'm keeping an open mind about running for office in the future." 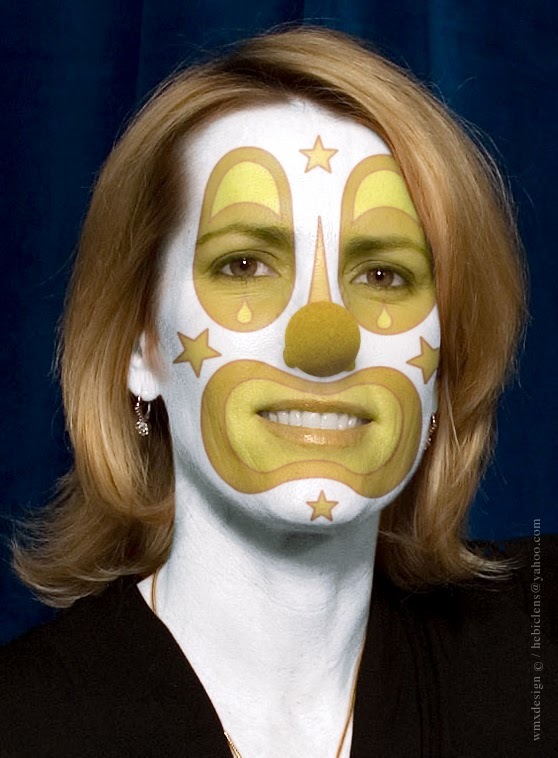 So if Ingraham runs for the House, where will she set up her circus tent? She lives in DC but she's from the Hartford, CT area. She could challenge popular Democrat John Larson there but the D+13 district gave Obama a 63-36% win over Romney and the last cycle saw Larson beat his GOP opponent, John Henry Decker 70-28%. Maybe they could debate Larson's resolution to honor Pope Francis, which radical right GOP bigots like Ingraham oppose. Or maybe she's smart enough to realize running in Connecticut isn't the way to go. Virginia is right down the road from her current home. The 3 districts in the DC suburbs, the 8th, 10th and 11th, are all very moderate and would be an awful fit for a kook like Ingraham. The 1st, 5th and 6th are more her style-- and they all have Republicans she could go after in primaries, respectively Rob Whitman, Robert Hurt and Bob Goodlatte. None of them is a moderate by any stretch of the imagination bit none of them is nearly extreme enough for Ingraham and her followers. And Goodlatte is a close ally of the hated Boehner and a co-sponsor of the resolution to honor Pope Francis that the extremists are all world up over. Of course, Ingraham could run anywhere. She's a national figure-- like Ann Coulter, Rush Limbaugh, Glenn Beck and Palin. They could all run-- form a third party or something. I'd like to see Ingraham run against a Blue Dog like John Barrow in Georgia. She'd beat him easily and her votes in Congress wouldn't be that much different than his anyway. And he's as dull as a doorknob and she would at least be entertaining, in the same way that Palin, Gohmert and Bachmann are entertaining. Man, what a dingbat ex-VA First Lady Mo McD is! Yes, the Dingbat Defense emerges as the McDonnells' secret weapon! 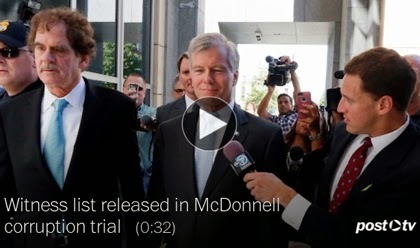 Wait, you didn't really want to see this clip about the McDonnell trial witness list, did you? Sorry, it was on the WaPo "McDonnell Trial" live-blog page, and I don't even have a living link for you. But consider, that's 32 seconds of your life you would never get back. Hey, you'd be peeved too if the phone in the cubicle opposite yours had been ringing all frigging day -- and that cubicle has been unoccupied now for almost a year! Not to mention all that stuff going on in, you know, Washington and, well, the world! I don't know who Maksim Chmerkofskiy is, but he must be important. I gather he's someone who has appeared on Dancing With the Stars, and while I find it hard to imagine that anything connected with Dancing With the Stars could be important, still, maybe the news that Maksim, whoever he is, for darn sure won't be appearing on it again -- that could be sort of good news, no? 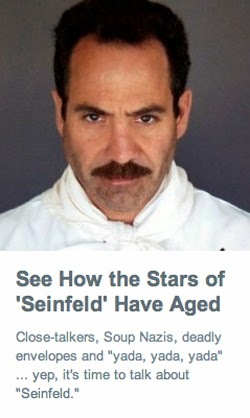 Except I realized that no, I truly don't wanna see how the stars of Seinfeld have aged, as witness the fact that in the end I didn't click through. Virginia Is for Lovers: But alas, it seems it wasn't the storybook romance it appeared from the outside, the marriage of the Family Values Party's Governor Bob and Dingbat Mo. Okay, this could work. Here's a real corker of a story from yesterday's courtroom drama. It seems that Mrs. Governor Bob "had a 'crush' on the charismatic executive who lavished gifts and cash on the couple." So you see, "She was not hatching a scheme with her husband to get rich by abusing the prestige of the governor’s office; rather, she was a woman in a broken marriage who craved attention." Is this Mo McD a dingbat, or what? Ohmygosh, shades of Martha Mitchell! It's the Dingbat Defense! Who doesn't love a good Dingbat Defense? We haven't been seeing it much lately. They still teach it in the law schools, don't they? 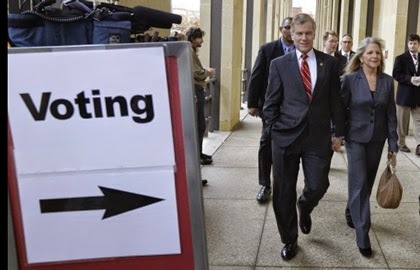 RICHMOND — Former Virginia governor Robert F. McDonnell (R) and his wife on Tuesday unveiled an unorthodox defense to the federal corruption charges against them: Maureen McDonnell had a “crush” on the charismatic executive who lavished gifts and cash on the couple. Maureen McDonnell’s intense — even romantic — interest in Jonnie R. Williams Sr. helps explain why she let him pay for expensive shopping trips and vacations for her and her family while she promoted a nutritional supplement he was trying to sell, defense attorneys said during opening statements. She was not hatching a scheme with her husband to get rich by abusing the prestige of the governor’s office; rather, she was a woman in a broken marriage who craved attention. And the governor, his defense attorneys said, was an honest public servant who promised Williams nothing of consequence. They said he would take the witness stand to proclaim his innocence even if that required him to lay bare his family’s troubles and discuss his wife’s dealings with another man. Glad you asked. Courtesy of today's WaPo live-blogging page, we've got our share of goodies. We've had young Robert Ryan "Bobby" McDonnell on the stand, testifying how he thought of Jonnie R. Williams, the alleged corruptor of his parents, as a "mentor," and also how he thought the Rolex his mom gave his dad for Christmas -- a watch that in fact Jonnie R.W. had paid $6500 for -- was "a fake," "a knockoff." We've had Jonnie R.W. himself on the stand, explaining about his company's strange history as it became intertwined with the story of the McDs' worsening financial situation. But much more fun are Jonnie's insights into Mo McD's Dingbat World. He told the story of the famous April 2011 New York shopping expedition, on which he accompanied the Virginia First Lady on. It seems Jonnie doesn't remember exactly how many items were bought, but one thing he surely does remember: “It went on for hours.” he said. There, too, was Brad Kroenig, a male model and friend of Williams. Williams testified that when he introduced Kroenig to then- Gov. Robert McDonnell’s wife Maureen, she began talking fashion — particularly what she would wear to her husband’s upcoming inauguration. “She said, ‘You know, I have a problem with, I’ve got to come up with a dress to wear for the inauguration,” Williams said. He said she asked Kroenig if he had any connections in the fashion world who might be able to assist her. Williams testified that he himself, though, was the one with the fashion connection — a good friend, he claimed, was the goddaughter of Oscar de la Renta. He testified he told Maureen he would help her with the dress, hoping that through his friend, he could line up a loaner from de la Renta. The governor, Williams said, heard the exchange. But ultimately, the plan fell through. Williams said a lawyer in the governor’s office called him later and nixed the idea, to Maureen’s dismay. So he said he arranged the day. Accompanied by her chief of staff Mary-Shea Sutherland and two police officers, Williams took Maureen McDonnell first to lunch at Bergdorf-Goodman. Then, the crew went to Oscar de la Renta, where he had made an appointment through a friend who was close to de la Renta. After that, they went to Louis Vuitton. Then, he testified, Maureen McDonnell requested to return to Bergdorf-Goodman for more shopping. However, there was no testimony -- Post-ie Matthew Zapotosky stresses -- about a quid pro quo connected to the loans. Well, that's okay then, right? I’m not waiting for the next quarter-end to throw another match on the Maine U.S. Senate campaign fire (this time, I’ll match the next $600 contributed to Shenna Bellows through this page between now and midnight of July 31). "64 percent of Mainers don’t know Bellows well enough to have a positive or negative opinion of her-- and that includes more than half the members of [the Democratic] party." Today I saw that, for the next six weeks leading up to the Republican primary in neighboring New Hampshire, voters are going to see much criticism of favored candidate Scott Brown’s resistance to campaign spending reform, paid for by the non-partisan reform-seeking MayDay PAC. This will remind Mainers, who share several media markets with New Hampshire, that Maine incumbent Susan Collins deserves similar criticism. This will be "free media" for the Bellows campaign, as is local media coverage each day that she walks into another town and has another road-side chat. But walking shoes cost money, for Shenna and for her canvassers as they knock on doors and prepare to get out the vote. "…if Mainers are telling the truth about how they feel about big money in politics and dysfunction in Washington, Collins’ perceived strength could work against her." "Mattawamkeag isn't famous, but it's the kind of town that exemplifies Maine: full of hard-working people and long-time residents who might disagree once in a while, but who all want to keep Maine the beautiful, livable place that it is. They don't care about party labels nearly as much as what their representatives can do to help make their lives better. And what I heard over and over at our busy town hall meeting on Thursday was that we need to create more jobs to bring young people back to rural areas. We need to keep Congress' hands off Social Security. We need to pay people a living wage again and stop shipping our jobs overseas with bad trade deals. I heard what I've been hearing throughout this walk: Washington isn't paying attention to rural America, and that neglect means a lot of families' way of life is disappearing. We don't have to let that happen." Red to Blue looks like such a stinker for Steve Israel this cycle that he's started slipping in candidates in blue districts so his batting average won't look as atrocious on the morning of November 5th as anyone looking at his inept recruiting will surmise. A good red-to-blue program would have strong, progressive candidates running against Republicans in blue-leaning districts. Instead, Israel's personal agenda had him out-right protecting Republicans in many of these districts. These are all districts Democrats should be able to win but that Israel has screwed up-- as he chases impossible districts with revolting Blue Dogs and New Dems in deep red territory. In each of these winnable districts Israel has either screwed up the recruiting or refused to back the Democratic candidate-- when there is one. Unless the Democrats win these seats they cannot take back the House. Steve Israel isn't even competing in any of them. His reappointment by Nancy Pelosi after his catastrophic loss in 2012 (while Obama and the Senate Dems slaughtered the Republicans), must have been reason for the Republicans to be popping corks on cartons full of Dom Pérignon. And these are basically a bunch of garden variety conservatives with not an ounce of courageousness between them. It's a stretch to even call most of these candidates "Democrats." Many are anti-Choice, pro-NRA and anti-LGBT and the whole bunch of them are corporate shills who would be-- were they to win (none of them will)-- on the wrong side of the battle lines between the 1% and normal American families. So, yes, Israel has been on track to having the worst batting average of any DCCC chairman in history. That makes perfect sense, since he clearly is the worst DCCC chairman in history. But to be able to argue otherwise after the debacle in November, he's slipped in a few ringers. Ringers? Yes, these are Democrats running in blue districts replacing Democrats who are leaving Congress. I'm saying they don't deserve support (Pat Murphy running to replace Bruce Braley certainly does), but that they have nothing to do with Red-to-Blue except to make the decrepit program look better when most of Israel's wretched actual Red-to-Blue recruits are defeated in November. And this is a good place to mention CA-31, the D+5 Inland Empire district that Israel screwed up in 2012 and handed to a Republican, Gary Miller, who knew he could never be reelected so decided to retire this year. Israel's pick for the race is a shady conservative ex-bank lobbyist, Pete Aguilar, who not only is a disguised Republican but has already endorsed a right-wing Republican against a Democrat in the neighboring district. Another great Steve Israel recruit (for John Boehner). If you're from Connecticut, you probably remember Bill Curry as a leader of the liberal wing of the Democratic Party and a two-time nominee for governor. Most Americans who know who he is, though, know him for his role as a domestic policy advisor to Bill Clinton. I know the Clintons are very touchy about their sometimes tattered brand and I suspect Bill Curry won't be invited to the Medici Palace when Hillary takes over the world. A look at the piece he wrote Sunday for Salon-- My party has lost its soul: Bill Clinton, Barack Obama, and the victory of Wall Street Democrats, makes you wonder if Curry will even be able to force himself to vote for her. When you say "Wall Street Democrats" you could be talking about Chuck Schumer or Joe Crowley or Steve Israel or Jim Himes but mostly you're talking about Hillary Clinton's soul being sold to the banksters. According to Curry, the beginning of the end for the Democrats having a soul came in 1980, not because of a Reagan landslide per se, but because a crooked California congressman, Tony Coelho-- the Rahm Emanuel of his day-- was made DCCC chair. "It is inarguable," wrote Curry, "that Coehlo set Democrats on an identity-altering path toward ever closer ties to big business and, especially, Wall Street… In 1985 moderate Democrats including Bill Clinton and Al Gore founded the Democratic Leadership Council, which proposed innovative policies while forging ever closer ties to business. Clinton would be the first Democratic presidential nominee since FDR and probably ever to raise more money than his Republican opponent." …Democrats today defend the triage liberalism of social service spending but limit their populism to hollow phrase mongering (fighting for working families, Main Street not Wall Street). The rank and file seem oblivious to the party’s long Wall Street tryst. Obama’s economic appointees are the most conservative of any Democratic president since Grover Cleveland but few Democrats seem to notice, or if they notice, to care. …In 2009, when he had the votes in Congress, Obama chose not to raise the minimum wage. Not till late 2013 did Democrats press the issue. Why then? As the New York Times reported, “they found an issue they believe can lift their fortunes both locally and nationally in 2014.” If there’s a true populist revolt on the left it is as yet invisible to the naked eye. Meanwhile the populist revolt on the right persists. In 2010 the Tea Party declared open season on GOP incumbents. It has since bagged quite a few. But Republicans don’t just fight over offices, they fight over ideas. It’s hard to track all the players in their endless policy scrum: Heritage, American Enterprise, Focus on the Family, Club for Growth, etc. Rand Paul pilfers Democratic issues like a fox stealing chickens while dynasty star Jeb Bush grapples with such timeless questions as whether there can be such a thing as a conservative social program. If Democrats had caught populist fever they’d be reappraising their own orthodoxy and offing a few of their own incumbents. Owing only partly to the Supreme Court’s Citizens United ruling, they instead spend their days as Republicans do, in an endless search for new ways to help the rich pump money into politics. As public alienation deepens, polls show Democrats generally content with their party’s leaders. Of such stuff revolutions are not made. ...Republicans make their livings off the misappropriation of populism. Democrats by their silence assist them. Rand Paul is more forceful than any Democrat on privacy and the impulse to empire. The Tea Party rails loudest against big banks and corporate corruption. Even on cultural issues Democrats don’t really lead: Your average college student did more than your average Democratic congressman to advance gay marriage. It’s hard for Democrats to see that their problems arise from their own mistakes. Obama called the 2008 recession “the worst since the Great Depression.” It wasn’t; by most measures-- jobs, wages, exports-- it was the worst since 1982. The valid comparison to the 1930s is that now as then all our vital institutions are broken. Our healthcare, banking, energy and transit systems are badly broken. Our defense policy is obsolete. Politics is a cesspool. Oddly, the one system working relatively well, public education, is the object of our only sustained reform effort. Mistaking the nature of the crisis, Obama mistook massive fraud for faulty computer modeling and a middle-class meltdown for a mere turn of the business cycle. Had he grasped his situation he’d have known the most he could do by priming the pump would be to reinflate the bubble. Contrast him to FDR, who saw the systemic nature of his crisis. To banks Roosevelt offered only reform; financial help went to customers whose bad mortgages he bought up and whose savings he insured. By buying into Bush’s bailout, Obama co-signed the biggest check ever cut by a government, made out to the culprits, not the victims. As for his stimulus, it didn’t cure the disease and hefty portions of it smelled like pork. Populist rage against the bailout and stimulus saved the Republican Party. In 2006 it had lost Congress, in 2008 the White House. Younger voters recoiled from its racial and religious politics. Middle-class decline had even devout Christians focused on family finances. That’s when Democrats handed over title to economic populism. Absent the bailout and stimulus it’s hard to imagine the Tea Party being born, Republicans retaking Congress or the government being so utterly paralyzed. Liberals have spent the intervening years debating macroeconomic theory but macroeconomics can’t fathom this crisis. This isn’t just a slow recovery from a financial sector collapse, or damage done by debt overhang or Obama’s weak tea Keynesianism. We’re in crisis because of all our broken systems; because we still let big banks prey on homeowners, students, consumers and retailers; because our infrastructure is decrepit; because our tax code breeds inefficiency and inequality; because foreign interventions bled us dry. We’re in peril because our democracy is dying. Reviving it will take more than deficit spending and easy money. It will take reform, and before that, a whole new political debate. …It pains us to watch Democrats bungle populist issues. We see Rand Paul corner the market on privacy and the scrutiny of defense budgets and wonder why no Democrat rises to expose his specious rantings. We yearn for a new politics but worry that our democracy, like that Antarctic ice shelf, has reached its tipping point. For things to improve Democrats must come up with better ideas and learn how to present them. So why don’t they? One reason is that today’s Democrats think politics is all about marketing. While Republicans built think tanks Democrats built relationships with celebrity pollsters. When things go awry one pops up on TV to tell us how they “lost control of the narrative.” Asked to name a flaw, Obama invariably cites his failure to “tell our story.” Judging by his recent book, Tim Geithner thinks failing to tell his story was the only mistake he ever made. People don’t hate the bailout because Tim Geithner gives bad speeches. They hate it because their mortgages are still underwater. Democrats must learn that policy precedes message; figure out what you believe, then how to tell people about it. A good idea advertises itself. Democrats must also learn to argue history. They chortle when Michele Bachmann credits the founders with ending slavery or Sarah Palin forgets who Paul Revere rode to warn. Yet they let the right turn our founding myths into pulp propaganda with nary a reply from any but academics. In Unstoppable Nader enlists Jefferson, Adam Smith, Friederich Hayek and a raft of others to buttress his case and reclaim valuable ground. Democrats think the power of money is greater than the power of ideas. Nader thinks that with the right ideas you can win even if outspent 100-to-1. Every year Democrats further dilute their ideas to get the money they think they need to sell them. The weaker the ideas, the more ads they need, the more money it takes, the weaker the ideas. As you can tell from their ads, they’ve been at this a long time. They don’t believe in ideas because they don’t believe in people. Obama wasted years dickering with Republicans who wished him only ill. He should have talked to the people and let them talk to the Republicans. One reason we know voters will embrace populism is that they already have. It’s what they thought they were getting with Obama. In 2008 Obama said he’d bail out homeowners, not just banks. He vowed to fight for a public option, raise the minimum wage and clean up Washington. He called whistle-blowers heroes and said he’d bar lobbyists from his staff. He was critical of drones and wary of the use of force to advance American interests. He spoke eloquently of the threats posed to individual privacy by a runaway national security state. He turned out to be something else altogether. To blame Republicans ignores a glaring truth: Obama’s record is worst where they had little or no role to play. It wasn’t Republicans who prosecuted all those whistle-blowers and hired all those lobbyists; who authorized drone strikes or kept the NSA chugging along; who reneged on the public option, the minimum wage and aid to homeowners. It wasn’t even Republicans who turned a blind eye to Wall Street corruption and excessive executive compensation. It was Obama. A populist revolt among Democrats is unlikely absent their reappraisal of Obama, which itself seems unlikely. Not since Robert Kennedy have Democrats been so personally invested in a public figure. Liberals fell hardest so it’s especially hard for them to admit he’s just not that into them. If they could walk away they might resume their relationship with Nader. Of course that won’t be easy. Populism isn’t just liberalism on steroids; it too demands compromise. After any defeat, a party’s base consoles itself with the notion that if its candidates were pure they’d have won. It’s never true; most voters differ with both parties. Still, liberals dream of retaking Congress as the Tea Party dreams of retaking the White House: by being pure. Democratic elites are always up for compromise, but on the wrong issues. Rather than back GOP culture wars, as some do, or foreign wars, as many do, or big business, as nearly all do, they should back libertarians on privacy, small business on credit and middle-class families on taxes. If Democrats can’t break up with Obama or make up with Nader, they should do what they do best: take a poll. They would find that beneath all our conflicts lies a hidden consensus. It prizes higher ethics, lower taxes and better governance; community and privacy; family values and the First Amendment; economic as well as cultural diversity. Its potential coalition includes unions, small business, nonprofits, the professions, the economically embattled and all the marginalized and excluded. Such a coalition could reshape our politics, even our nation. Curry is writing a book about populism now. When he writes his condemnation of the Democratic Party I hope he looks beyond the Clintons and scrapes a little Steve Israel, Debbie Wasserman Schultz and Steny Hoyer off the bottom of the barrel too.